Tandem bicycles are a joy to ride. However, there are reasons they are not more prevalent in the biking community. While they fit two people, they still work just as fine for one. Yet, nothing looks as lonely than a single person on a tandem. 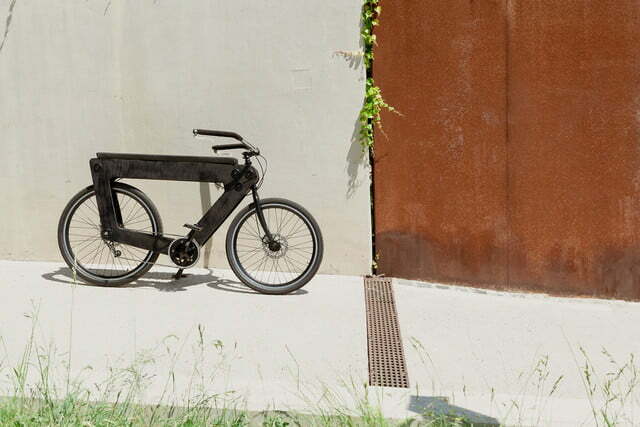 Revo is a prototype, bench-seat bicycle that looks good with or without a partner. 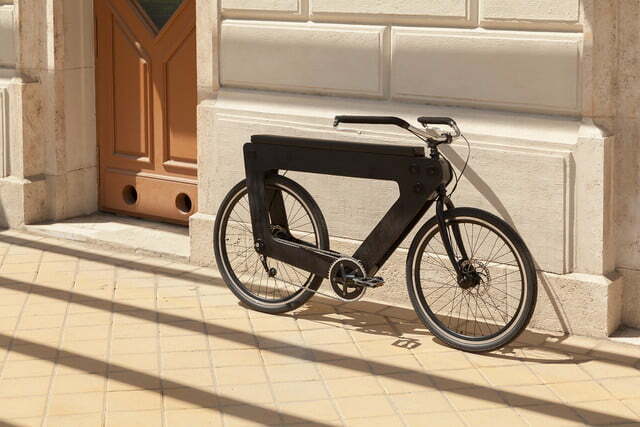 What immediately sets this bicycle apart from other designs are two aspects: The frame and the seat. Instead of the typical metal or carbon fiber construction, Revo uses two large cutouts of beechwood plywood to provide the support. 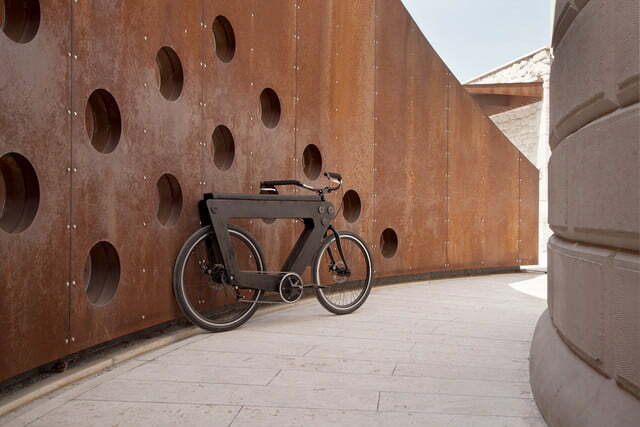 According to Túri, this wooden frame is more flexible and comfortable for an urban environment full of concrete, pavement, and bumps. Steel reinforcements around the headset, bottom bracket, rear hub, and back of the top plank ensure the frame is more than strong enough at the key stress points. For those worried how a wooden frame will last in different weather, the lacquer coating has held up well so far but is still being tested in different weather conditions. Along the top of the frame is the seat. To be more exact, it is more of a bench. Many casual riders find standard bike seats uncomfortable. It is why there is such a large market for padded bike shorts. Instead of a seat, Revo sports a longer, wider cushion that runs the entire length of the frame. 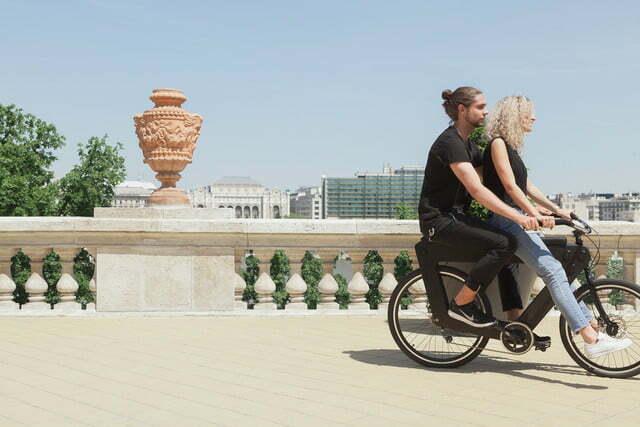 “The back, neck, shoulders, and wrists are completely released from burden thanks to the forward pedaling motion and the straightened back,” Túri said. For most urban cyclists, the bike is not practical when meeting up with others. If they want to go somewhere, they either have to take their own bike, ride the handlebars, or walk alongside. With Revo’s bench seat, sliding forward and more upright allows enough room for another rider. The current prototype doesn’t offer a place for extra passengers to put their feet, but that could change by the final build. 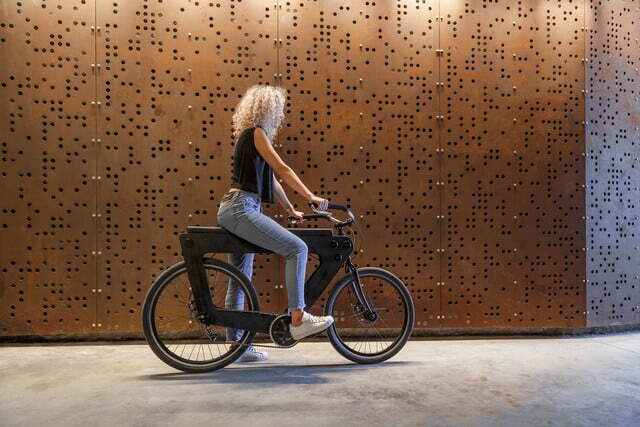 An official launch plan has not been made, but Túri estimates the Revo bicycle could cost between $1,000 and $1,400 when it enters production. Anyone who believes constructing a wooden bicycle is crazy, that is nothing compared to a bicycle made out of recycled paper and plastic.